Little Na'oumah lives with her parents. She has feathers, long neck and fast legs that have rescued her when the hunters have attacked a squadron of ostrich. Na'oumah thinks she is a bird, and decides to fly but…To know more, read نعومة story. نعومة is a short story from the series, نادي القراءة العلوم المستوى الثاني, which includes eight kids stories issued by Dar Al Manhal. 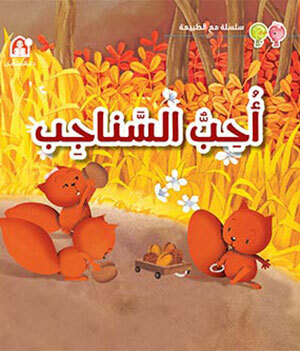 The series, نادي القراءة العلوم المستوى الثاني, presents a group of short stories for kids, where they are introduced to one of the animals' youngsters through a simple story and amazing graphics. Each story aims to make the kids discover the surrounding environment, and at the end of each story they get to know the animal through real images with a brief about its home, food and so on.